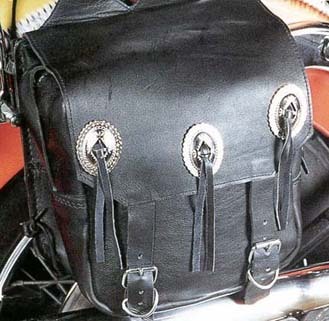 Pick your destination, then follow your destiny with this standard cut, wide gusset motorcycle bag. Cut outs on throw over center. Sizes: 11- 1/2" x 10- 1/2" x 6"